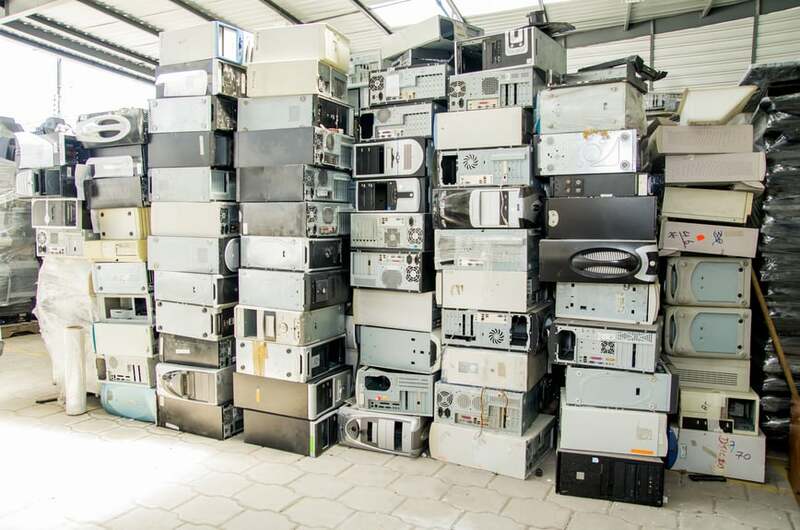 Does your company need help in removing electronic scrap? Are you unsure of what regulations and restrictions govern the disposal of electronics and computers? Tombarello and Sons can help you to process your electronic scrap in compliance with environmental safeguards. Our employees are expert in e-scrap removal and can provide you with services to custom fit your needs. Tombarello and Sons can destroy all confidential or classified information contained on scrap computers or electronics needing to be disposed. We follow strict guidelines on how to properly destruct all sensitive material from electronics and issue your company a certificate of destruction stating that your electronics were properly disposed of and in accordance to federal, state, and local laws.